It is your wedding day. Simply put, you deserve the best. We believe you should have everything you need and that you shouldn’t have to worry about the logistics. We believe in weddings done right. In order to make this happen we make sure that you always get everything that you need and that you have the option to add on anything that you want. Zach is our principal photographer and cinematographer. He is fun and enjoys joking around with couples while shooting. Zach grew up in Portland, Oregon and moved to Fresno when Third Element was first born. Zach graduated from Fresno Pacific University with a business degree where he met his wife, Nettie. Zach and Nettie were married in 2010 (and of course Forrest took the photos). Zach and Nettie have two beautiful daughters, Addison and Avery. Every once in a while you can see photos of the girls pop up on the Third Element Instagram! Nettie is our client care and administration specialist. She is the one behind the scenes sending love to all of our clients! Nettie is the “secret sauce” that supports Zach in the operation of Third Element Photography & Cinema, filling in the areas where Zach is lacking, making the company complete. Nettie can be found making sure that all the “i”s are dotted and “t”s are crossed so that everything runs smoothly. Nettie is the (beautiful and talented) wife of Zach and Super Mom to Addison and Avery. Every once in a while you can find photos of Nettie’s amazing parties that sometimes look more like a styled shoot for a magazine than a dinner party for friends! Forrest is one of our co-founders and while he no longer works full time with weddings, you can find him creating magic over at the Cavale Creative Company. Forrest and Zach met at LeTourneau University as flight majors and Forrest worked as a professional pilot and mechanic before going full time with photography. Forrest is married to Jessica and they have one son, Finn. If you pay attention while you are watching TV, you may see one of the many commercials he has filmed! The Third Element journey started unofficially in 2006. Zach and Forrest had met at LeTourneau University where they both were studying aviation. Their first wedding together was in 2006 and Zach and Forrest have grown Third Element into the company that it is today. Forrest and Zach shot full-time together from 2006 to 2011 when Zach took a break from photography to join Teach For America as a Jr. High math teacher. 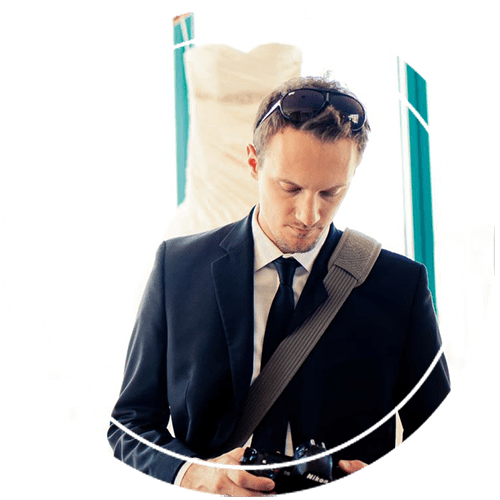 After his time as a teacher, Zach re-joined the Third Element team and took over the operations of the wedding and portrait business in 2014 and Forrest began focusing on growing the commercial brand 4Creeks Creative. 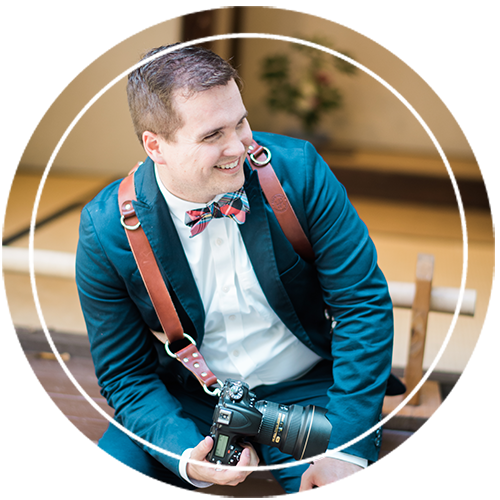 Today, Zach is the lead at Third Element shooting nearly every wedding on our books while Forrest spends his weeks doing commercial photography and cinema along with shooting about 1/3 of the weddings that Third Element does annually. In addition to Zach and Forrest, Third Element maintains an extensive network of highly qualified associates who are professional photographers and cinematographers and have been thoroughly trained and vetted to be able to produce imagery that we are proud to give to our clients. The typical Third Element couple is a unique breed. They are full of love and romance. They believe in spending quality time together and making every moment count, even if it’s a car ride together or making dinner. They believe in getting married once and doing it right. They believe in a significant and sacred wedding ceremony and a party to celebrate during their reception. They have a timeless style and elegance about them and they choose timeless with a hint of trendy. They communicate and work together to plan a wedding that is a kickoff to their marriage together. They pay attention to the details and they make sure they are meaningful. They write thank you notes and send them with genuine love and gratitude. They plan their wedding to be significant to them, incorporating traditions from both sides of the families but making them their own. Most of all, they are best friends who have unconditional love and support for each other and they believe that they can conquer the world as long as they are together. Thanks for visiting Third Element Photography & Cinema. We’d love to hear from you!